In March of 2014 Mammut issued a service bulletin for certain models of avalanche airbags--this is new information that may affect your airbag whether or not yours was included in the previous service bulletin. 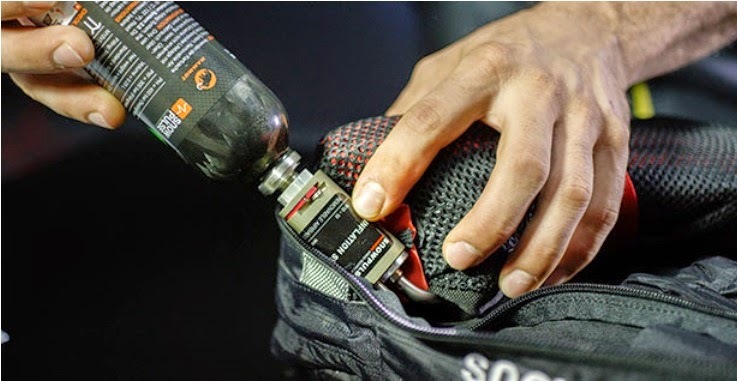 In certain rare cases Mammut discovered that the metal tube connecting the trigger mechanism to the airbag itself could come unscrewed--this is easily identifiable and should be a part of everyone's routine equipment check every time they use their airbag. For the model-year 2014/2015 a manufacturing change prevents this from happening. Now, Mammut has produced a special custom-fitted clip that is specifically designed to prevent any of the pre-2014 model-year airbags from ever coming unscrewed. The clips are small and very lightweight, and are easy to snap into place yourself on all affected airbag models and are available free of charge. All owners of Mammut and Snowpulse avalanche airbags (including packs manufactured by Highmark by Snowpulse, Oakley, Scott, Jones and Ferrino that utilize a Mammut or Snowpulse airbag system) produced before the 2014/2015 model-year using the "inflation system 2.0" system should contact Mammut through the link below to obtain a clip free of charge. Both the Removable Airbag System (RAS) and the Protection Airbag System (PAS) should be updated with the clip. If you have a FLUORESCENT ORANGE airbag with a molded plastic trigger mechanism that is a version 3.0 and is not subject to this bulletin. The link appears brocken... where can we get these clips?